Not every college student goes on a wild spring break adventure like you see in movies and TV – some of us go on meaningful community service trips to help those in need around our communities. 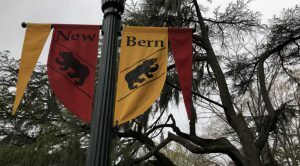 New Bern, North Carolina is a town known for its history: it’s the second oldest town in the state, the birthplace of Pepsi, and was a battle site during the Civil War. The town has had a lot of time to be built up, but a lot of time to be torn down, too. I noticed this as I traveled with a group of students from the University of Delaware to North Carolina to spend a week helping to build homes with Habitat for Humanity. As students of the Blue Hen Leadership Program, we are committed to being leaders in our community. On our week in New Bern we were able to learn how to apply the 5 Practices of Exemplary Leadership Model and understand their importance. The fear and nervousness crept in for a lot of us as we were going on roofs and using power tools for the first time in our lives. Luckily, we were able to rely on each other and our mentors to teach us. 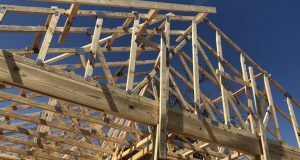 By Modeling the Way for others, it helped those of us that had never worked with Habitat for Humanity or on construction to learn how to do different tasks. As we worked on the houses, this practice of leadership was important to our group as we were all eager to help each other out and were never shy about asking for help. Passion is one of the main reasons why I want to step up in my leadership positions—I am empowered by the idea of helping others and donating my time and resources to better the lives of others. My team and I all envisioned the possibilities that could come out of our project; we were building a home for a family. We were motivated by the impact that we could have on the lives of this family. We all decided to go on this alternative spring break trip because we all had a common goal: to have a positive impact on New Bern. Deciding to go on the alternative break trip was in itself challenging the process by searching for an opportunity to improve and grow a community. We made it a daily effort to ‘Challenge the Process’ by finding easier and more efficient ways to complete our projects on the house, whether that was creating a system of teamwork or by taking a different approach to work faster. Enabling others to act is the ability of a confident leader, and our service trip leaders were confident in their abilities to get us engaged in our project. My group understood each other’s strengths and weaknesses, and this allowed us to enable others to pursue their strengths on the project to make sure everyone was participating. We built up trust with each other and understood that mutual trust and respect is what allowed us to work together to take on the immense task of building a house. At the end of the day, we were on this alternative break trip because at the heart of leadership is caring. We cared about making a difference, we cared about the family that we were building a home for, and we all cared about each other. 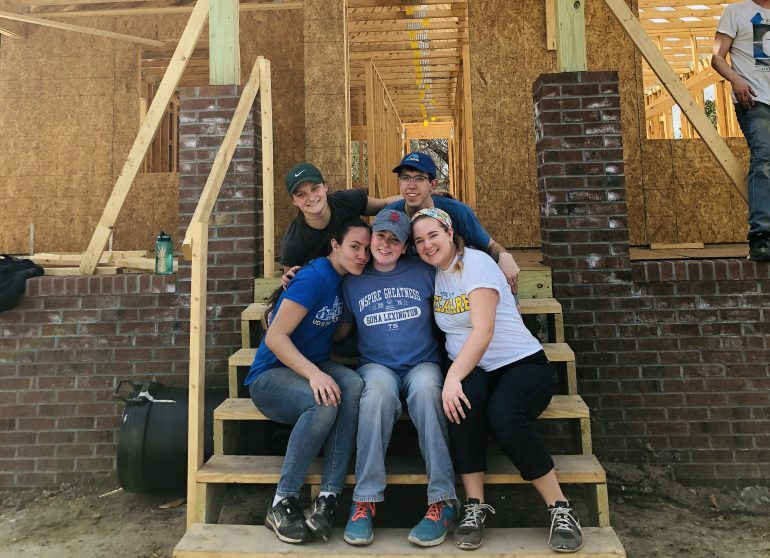 Encouraging the heart was one of the most powerful practices of leadership that I saw during this trip because I witnessed a lot of positivity and encouragement from my team members, service trip leaders, and the staff of Habitat for Humanity. This helped us stay motivated even when we weren’t succeeding or were feeling like giving up on a task. The 5 Practices of Exemplary Leadership Model shows how effective leadership can be when applied to any situation. Discussing these practices of leadership within our group helped us to have more meaningful conversations and have a greater impact on the New Bern community because of our efficient work on the houses. 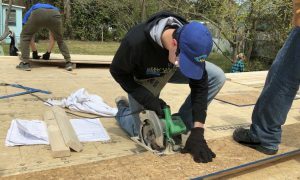 I encourage you to spend a week volunteering during your spring break to learn more about yourself, your leadership capabilities, and the impact a group of students can have working on a house together in 5 days. You might just have the best spring break while doing it. Pearson students, how will you spend your Spring break? Would you consider doing something meaningful and educational this year? Share by commenting below! Hannah Cote is pursuing her undergraduate degree in Applied Nutrition with a minor in Spanish at the University of Delaware. Hannah is a second year student who is interested in becoming a Physician Assistant after she graduates. She enjoys working as a Rehabilitation Assistant at a hospital nearby and working as a Pearson Campus Ambassador on her campus. She is looking forward to studying abroad in New Zealand, staying involved with the Blue Hen Leadership Program, and having a position with a philanthropic student organization called UDance during her next two years. 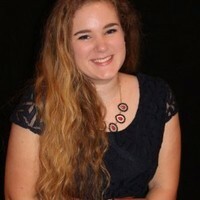 This is Hannah’s first contribution to the Pearson Students Blog. If you are a college student and interested in writing for us – click here to pitch your idea and get started!